If you are searching for the best car finance deals in Cardiff, Ron Skinner and Sons can help. We have been selling used cars in Wales for decades and during this time, we have formed relationships with leading finance providers, which allows us to offer a variety of packages. If you are interested in securing car finance in Cardiff, we will be happy to help you. Our partnerships with several types of lenders mean that we can offer car finance agreements to suit a range of budgets and credit circumstances. Using our helpful online car finance calculator, you can get a quick quote, which will be determined by your preferred deposit amount and contract duration. Take a look at our current range online and select a vehicle to begin. At Ron Skinner and Sons, our car finance experts are waiting to offer you any advice and support you feel you may need. 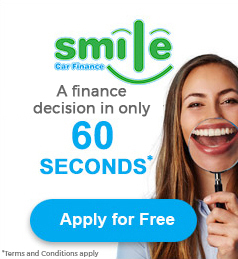 Either call us or visit our dealership in person and we will walk you through your options to help ensure you find the best car finance deals in Cardiff for you! Complete and submit an online application form to and receive a decision from our finance partners in under a minute!